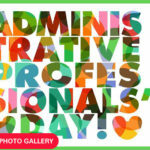 This week at Headlines was all about recognizing the faculty and staff who make an impact every day. 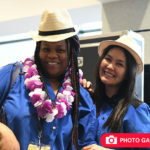 The week began with employees honoring colleagues as the MVPs and superstars in their unit or department. Others received Making a Difference awards from coworkers, patients and families. Readers also learned about an impressive team at the Kellogg Eye Center who helped save a child’s vision; and Patient Relations and Clinical Risk shared tips on how to improve a patient’s experience should expectations not be met. From infusion schedulers to pharmacist coordinators, employees across Michigan Medicine were recently lauded by their coworkers for the outstanding work they carry out on a daily basis. Click here to see a full list of nominees for Michigan Medicine MVP, and find out who is taking home a fantastic prize! A number of faculty and staff inspired their colleagues, patients and families enough to earn a Making a Difference award last month. Take a closer look at who earned the recognition and find out how they were able to take care and service to the next level. What began as a fun family outing for seven-year-old Colton Thompson turned into a day that changed his life forever. After a fishing accident nearly robbed him of the vision in his left eye, Colton came to the Kellogg Eye Center, where Michigan Medicine experts carried out a cornea transplant that has him seeing clearly and looking to future. Check out Colton’s inspiring story! 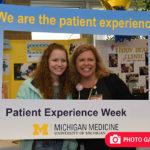 Everyone at Michigan Medicine strives to provide the best patient experience each and every time someone comes to the academic medical center. However, as in every complex health care organization, expectations aren’t always met. Click through for important tips on how to manage a situation if a patient indicates that they had a less-than-ideal experience.